Frome & District Civic Society are part of the stakeholder group advising Mendip District Council, Acorn Property Group & Nash Partnership. Our full responses can be found at the bottom of this page. A well connected Riverside Park and children’s play area, retaining the majority of trees covered by the TPO area, including the old river meander. Seamless pedestrian linkages to the town including a public square, and shared surface streets, including King Street. A pedestrian & cycle bridge across the river to connect to the riverside walk through Willow Vale and Rodden Meadow as a major benefit to residents. This path has become a valuable spine route through the town. A cycle bridge would create a welcome bypass for cyclists avoiding the main town centre roads. A new access road from Garsdale through to the Kingsway car park area to service new and existing commercial developments, alleviating Vicarage Street of non-residential traffic. 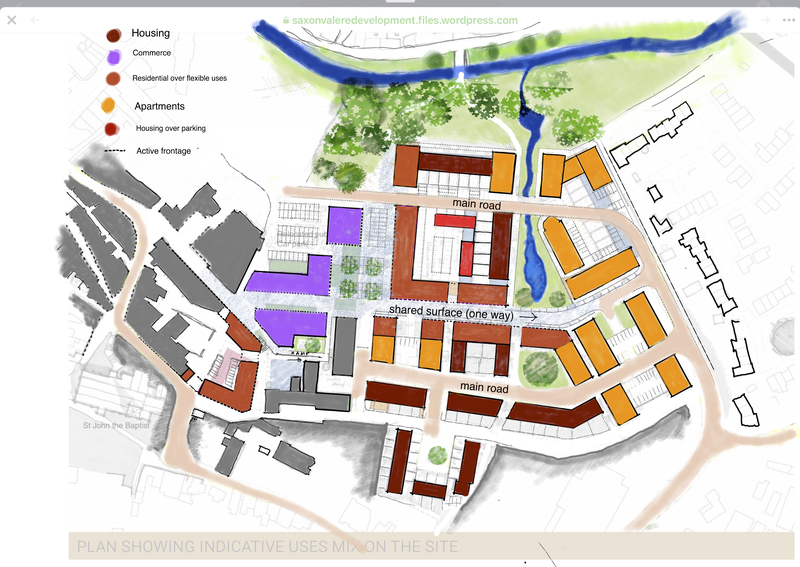 High quality design of all parts of the development, avoiding pastiche and generic ‘modern’ design, but embracing the special qualities of the town’s spatial and material character. Inclusive residential development with an emphasis on a broad range of dwelling size and cost, including a proportion of flats for sale and rent that suit the needs of the existing community, young and old. A range of retail and commercial development focussed on larger units and follow-on space for growing enterprises, that complements rather than competes with the existing offer in the town. Continuity of active building frontages on principle routes from the town centre, with taller ground storeys, designed for adaptation to a variety of uses, safeguarding future trends in demand for residential, retail and commerce as the town grows. The current consultation can be found on the website. The two key diagrams under discussion. 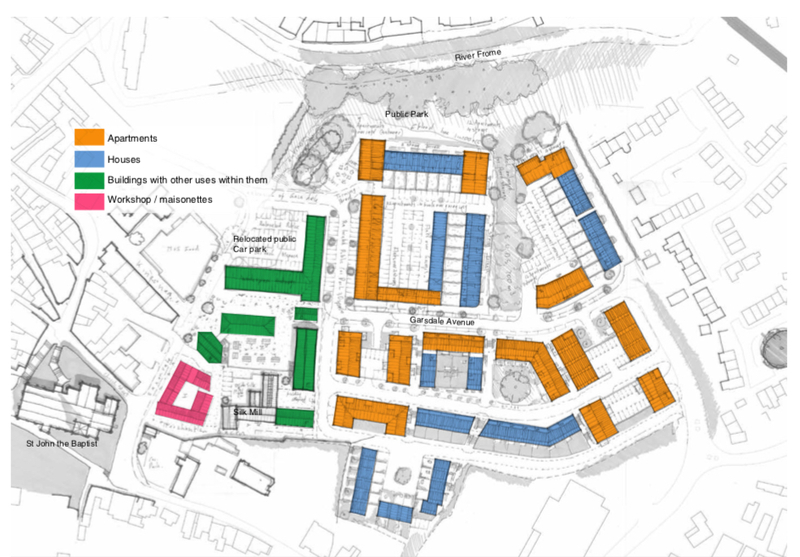 Here is the Civic Society response and alternative proposal, based on the Nash layout.